OTTAWA — The effort to rescue NAFTA has made limited progress because U.S. bargainers find themselves hamstrung by the Trump White House and the fact talks are taking place too quickly, Canada's chief negotiator says. Tuesday's hard-hitting and sobering update from Steve Verheul came on the same day that U.S. trade czar Robert Lighthizer took another shot at Canada by suggesting more progress on the continental trade pact was being made with Mexico. Verheul described the current NAFTA talks as the most unusual negotiation he's ever been involved in. "They do not come to the table — our counterparts — with a lot of flexibility. This is being driven to a large extent from the top, from the administration, and there's not a lot of flexibility," the veteran negotiator told the Canadian Global Affairs Institute. The U.S. strategy is to strengthen its position by weakening Canada and Mexico — a tactic that could end up having dire consequences for all three countries, Verheul said. President Donald Trump's threat to trigger NAFTA's six-month withdrawal notice remains a possibility and Canada is ready for any eventuality, he said. If it happens, Verheul said it might simply be a negotiating tactic. The normally reserved Verheul warned "the worst possible outcome" would be for the United States to go it alone — a scenario he warned would weaken North America, allowing other countries and regions to take easy advantage. "If the U.S. is to go alone, not only would North American be weakened, but I think the U.S. would also be weakened economically." Canada is particularly concerned with a controversial U.S. Buy American proposal that would limit access to public contracts. That "is the worst offer ever made by the U.S. in any trade negotiation," Verheul said. "(It) would leave us in a position where the country of Bahrain would have far better access to U.S. procurement markets than Canada would, or that Mexico would, and we've clearly said this kind of offer is not possible." Canada will stay at the negotiating table for as long as it takes, Verheul said, but it's impossible to predict the next move of a notoriously unpredictable president. U.S. ambassador Kelly Craft said in a speech Tuesday night in Ottawa that Trump's election victory was the result of him awakening sentiments percolating in America for some time that are shared by Prime Minister Justin Trudeau — to elevate working people. "We do not want to leave Canada behind. To the contrary, we want you to understand in clear terms, we want an updated NAFTA to stimulate North America to be more competitive in the global economy," she said. "He wants really big trade." But even though three chapters have been closed, Verheul said the pace has been "fairly limited progress over all because there hasn't been enough time between rounds to re-evaluate positions. "The pace has been a bit too fast to do a lot of the kind of homework that needs to be done domestically to allow further progress to be made," Verheul said. "That is a consequence of trying to move too quickly in a negotiation like this." The seventh round of NAFTA talks is set to begin later this month in Mexico City with substantial differences remaining on autos, a sunset clause and an investor-dispute resolution mechanism, and U.S. demands for greater market access to Canada's protected dairy industry. "Heading into the next round, we will bring a lot of ideas to the table. We will be aiming to achieve real progress and we're hoping the U.S. will bring a similar attitude to the table," said Verheul. He then added: "We're somewhat more confident that Mexico will bring that attitude to the table." Canadian negotiators are headed to Mexico next week to have a strategy session with their counterparts ahead of the seventh round. 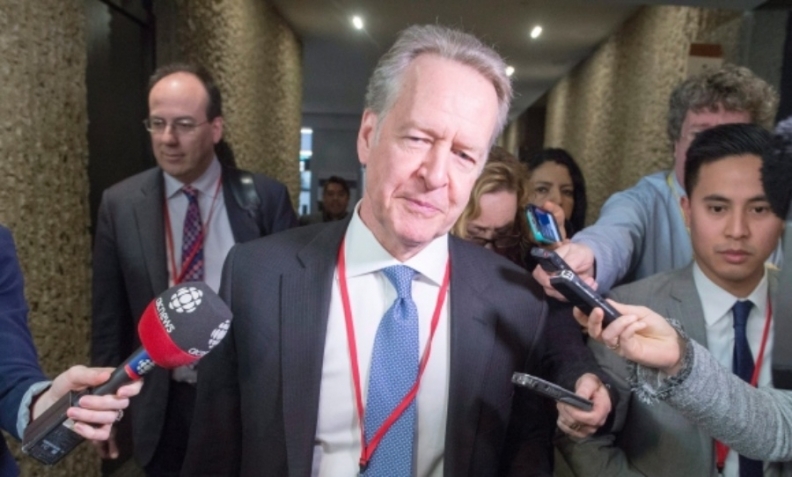 The NAFTA renegotiation survived its sixth round of talks in Montreal last month, with Lighthizer saying enough progress was made to push forward despite American dissatisfaction with some Canadian proposals. Lighthizer also called Canada's wide-ranging complaint to the World Trade Organization about American use of punitive sanctions a "massive attack" against U.S. trading practices. Earlier this week, Trump complained about Canadian trade practices and threatened an undefined international tax, reviving fears of new American import penalties — a fear the White House has since played down. Canada has no position on that because it is not clear what Trump is talking about, Verheul said. A final eighth and final round is scheduled in Washington in late March or early April before presidential elections in Mexico and the U.S. congressional midterms.